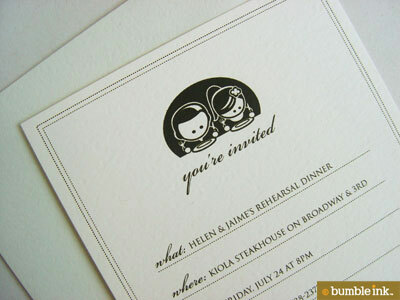 I love these unique letterpress save the date designs from Dauphine Press. 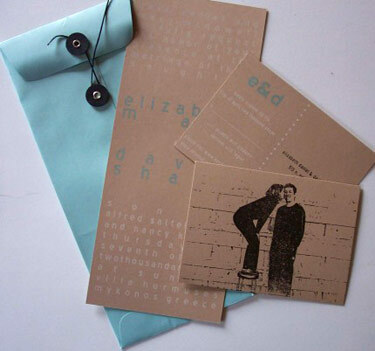 Not only are the letterpress designs gorgeous, but I find the concept of turning the save the date cards into their own little booklets or packages so appealing. 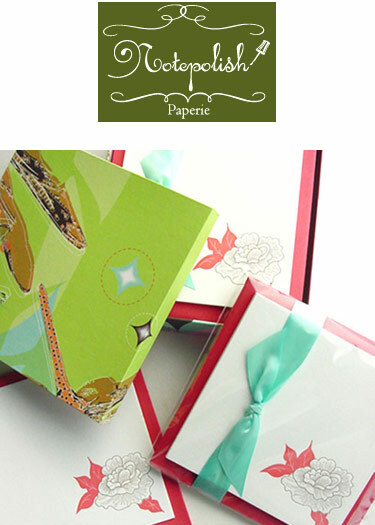 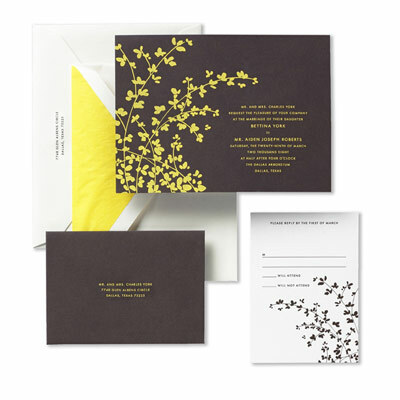 Save the Date Cards at Crane & Co.
Bumble Ink Personalized Invitations…Oh So Kawaii! 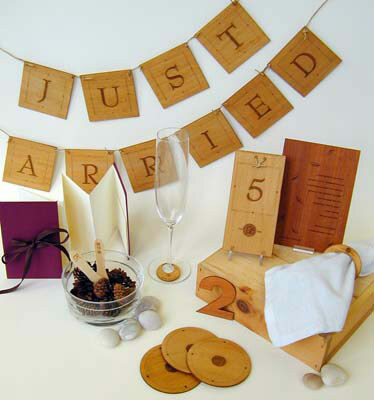 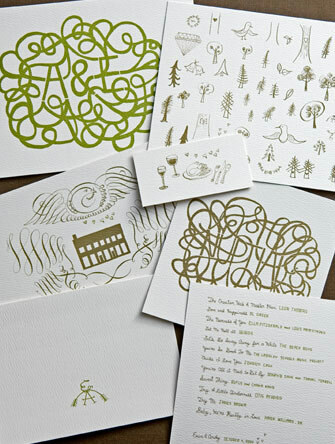 I’m quite taken with these wedding invitations from Mr. Boddington’s Studio. 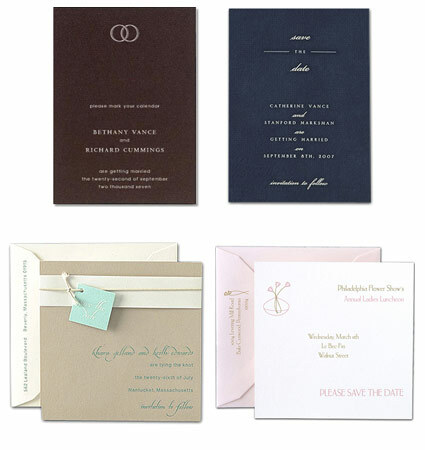 The use of fabrics like linen and silk in combination with custom graphic elements make for wonderfully decadent designs: Love the use of linen and ribbon in this design.